Located right in the centre of Oxted town centre which offers a wide range of shopping facilities together with leisure pool complex, cinema, library and railway station with service of trains to East Croydon and London. There are both private and state junior schools together with Oxted School nearby in walking distance. Sporting and recreational facilities are generally available within the district including Master Park. For the M25 commuter, access at Godstone Junction 6 gives road connections to other motorway networks, Dartford Tunnel, Heathrow Airport and via the M23 Gatwick Airport. From the centre of Oxted in Station Road East, proceed towards the entrance of the railway station with Lorimers the stationers on your right. Between the side of Lorimers and the Hop Stop shop is a wrought iron gate. Take the staircase on your right to the first floor and then turn left along the balcony. 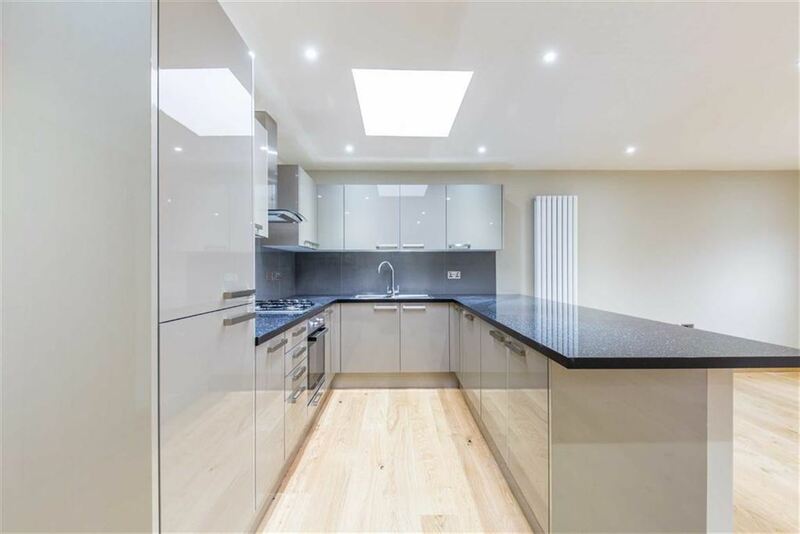 Available end of July is this particularly spacious apartment in central Oxted which has been recently refurbished to include a modern fitted kitchen with integrated appliances, modern shower room, there is also an allocated parking space in a private car park. PLEASE NOTE: The photographs are in fact from the adjacent equivalent flat. Juliet balcony with double doors, further window with rooftop views towards The North Downs, oak flooring, recently fitted kitchen units with high gloss and soft close doors, integrated washer/dryer, dishwasher, fridge/freezer, gas hob, extractor fan, oven and sink. Double bedroom, double glazed tall window to the rear, ceiling spotlight. Large walk-in shower, pedestal basin, wall mounted WC. Allocated parking space in a private car park.